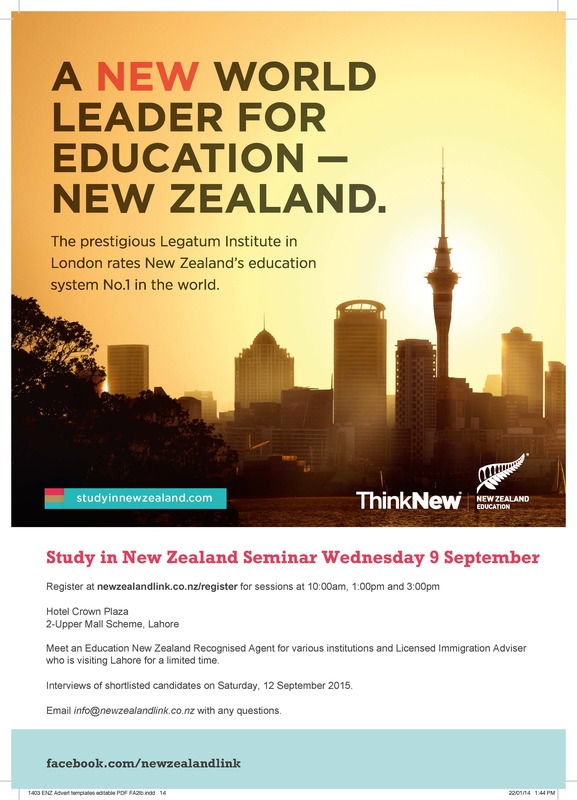 Meet an Education New Zealand Recognised Agent for various institutions and Licensed Immigration Adviser who is visiting Lahore for a limited time. Interviews of shortlisted candidates on Saturday, 12 September 2015. Email info@newzealandlink.co.nz with any questions.